Fine of £1 and costs Tuesday 30th October 1866. Convicted 02.03.1927 of permitting drunkenness. Fine £1or 13 days detention. 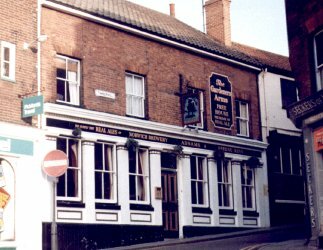 At the Petty Sessions held Tuesday 30th October 1866, Police Inspector Curtis proved that licensee Thomas Cooper had harboured a police constable, whilst on duty. The constable had been discovered in the house drinking and smoking with a soldier. Known as the MURDERERS or MURDERERS ARMS. Uniquely the sign shows the Gardeners Arms one side and the Murderers the other. 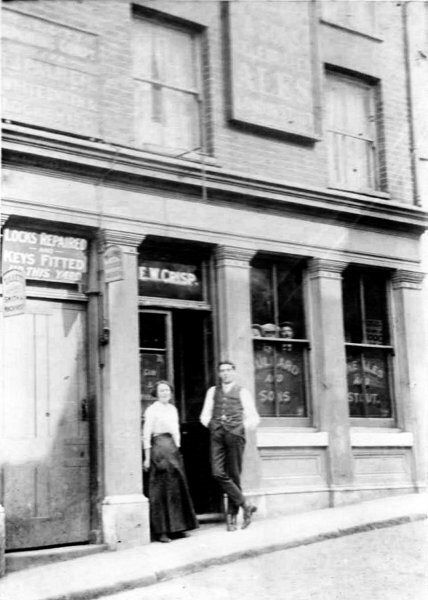 The adjoining Browns Fishing Tackle shop was incorporated into the house in 1991, to become the Murderers Cafe Bar. c1984 - Selling Norwich Brewery, Adnams & Greene King ales. Essentially two small rooms either side of the central door with screened passage leading to rear courtyard bar. Wood panelled and studwork partitions to create intimate atmosphere and of random features to give mediaevalising arbitrariness to the interior. The overall concept is modern but some features, such as the screens could be 16th or 17th C transplants from another building. Has the alternative name of the MURDERERS owing to the murder of a prostitute there in the 19th C.